Yesterday, SRQ magazine hosted a well-received SB2: GOOD GROWTH Economic Indicators breakfast symposium at The Francis in downtown Sarasota. As guests filled their plates with a mouth-watering breakfast spread, series sponsor Lesley Hatfield of CS&L CPA’s welcomed those in attendance. As a locally grown business, giving back and supporting worthwhile initiatives are just as important to CS&L as their mission to provide the finest level of personal service and technical expertise. Tammie Sweet, Director of GrowFL gave a compelling presentation on the common myths of entrepreneurial ecosystems and what it takes to strive economically as a community. GrowFL helps local communities build entrepreneurial efforts centered on the Economic Gardening philosophy. This philosophy embraces strategies for second–stage companies in a community, region or state. “These are companies that have between 10-99 employees and 1 million to 50 million in revenue. They are hidden in the fabric of your community. We help them identify where new market potential may be as well as provide peer environments where they can get with other CEO’s of second–stage companies.” said Sweet. Fact: When targeting areas for entrepreneurship stimulation, clusters offer a fertile environment where survival rates are higher and performance better than elsewhere. Fact: For a booming economy, bet on high growth firms, not small business. Fact: Job creation is a by-product, but it is not the objective. Fact: These types of intentionally created support mechanisms are just a piece of the puzzle. Fact: There is no right way to do this. Try, fail and try again. Tammie left us with impressive statistics on our region’s economy and job market stating that the Sarasota-Bradenton area was ranked 60th out of 381 cities across the United States for jobs gained in 2015 and 5th in Florida. 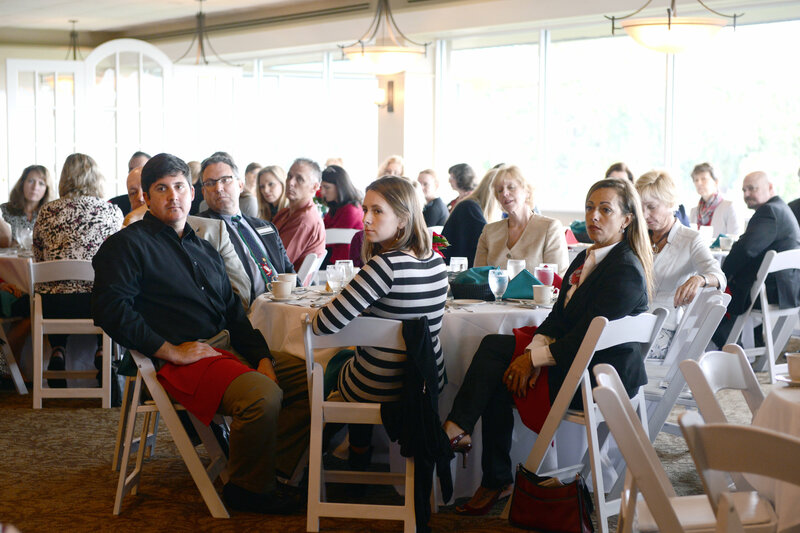 Between sips of coffee and bites of bacon, guests were able to hear from movers and shakers in the Sarasota-Bradenton economic community. Panelists hailed from a variety of organizations: Jeff Maultsby from the Sarasota County Government, Joan McGill from the Economic Development Corporation of Sarasota County, Steve Queior from the Greater Sarasota Chamber of Commerce and Peter Straw from the Sarasota Manatee Manufacturers Association. Panelists were passionate about the current state of our economy, the value of education and the importance of a bi-county relationship. Steve Queior, President and CEO of the Greater Sarasota Chamber of Commerce kicked off the conversation by explaining how significantly our economy has grown since The Great Recession. “We lost 38,000 jobs in The Great Recession and we have since gained them almost all the way back. One of our challenges is we have to create more higher paying jobs for the standard of living for our neighbors and residents.” Steve was also recognized for this 12 years at the helm of the Sarasota Chamber, a position he will be wrapping up this coming month. “To achieve innovation, you have to disrupt your business. 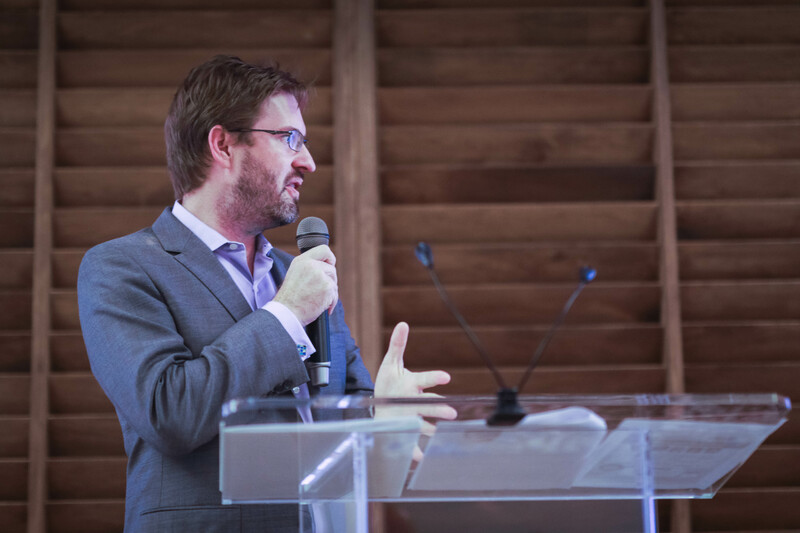 The Great Recession, disrupted every business in our community and we were fortunate enough to have leadership strong enough that said ‘hey if we get together we can find solutions to this’,” Peter Straw, Executive Director of the Sarasota Manatee Manufacturers Association pointed out. When asked about the recent decision to decision made by the county in regards to turning down incentives panelists were quick to share their thoughts. “Florida is a much more business-friendly state than it was 8 years ago. The question is what kind of incentives do you offer and what kind of payback do you get for the incentives,” said Peter Straw. Education and retention of young talent were on the forefront of conversation throughout the morning discussion. “Workforce is always an issue that companies struggle with at all levels whether it’s large or small. We are working very hard with our education institutions to create training programs that are specific,” Joan McGill, Vice President of Business Development for the Economic Development Corporation of Sarasota County added. “Education and training equals economic development, it equals career pathways for our young people and neighbors of all ages and we’re doing some good things in this area in education and training, ” said Steve Queior. Thank you to our SB2 series sponsors, The Resort at Longboat Key Club, CS&L CPAs and The Sarasota-Bradenton International Airport for their continuous encouragement and support. Your example inspires us. A gallery of images from SB2: GOOD GROWTH Economic Indicators is available online. Join us Thursday, November 17 for the next installment of the 2016-2017 SB2 season with GOOD COAST: A Good Place to Work, Live, Play and Give. Keynote speaker and President of the Florida Philanthropic Network, Stacy Carlson will give us insight on opportunities created by our reputation as a philanthropic region. For a 2016-2017 SB2 season pass or more information on the entire SB2 series, visit SRQSB2.com. 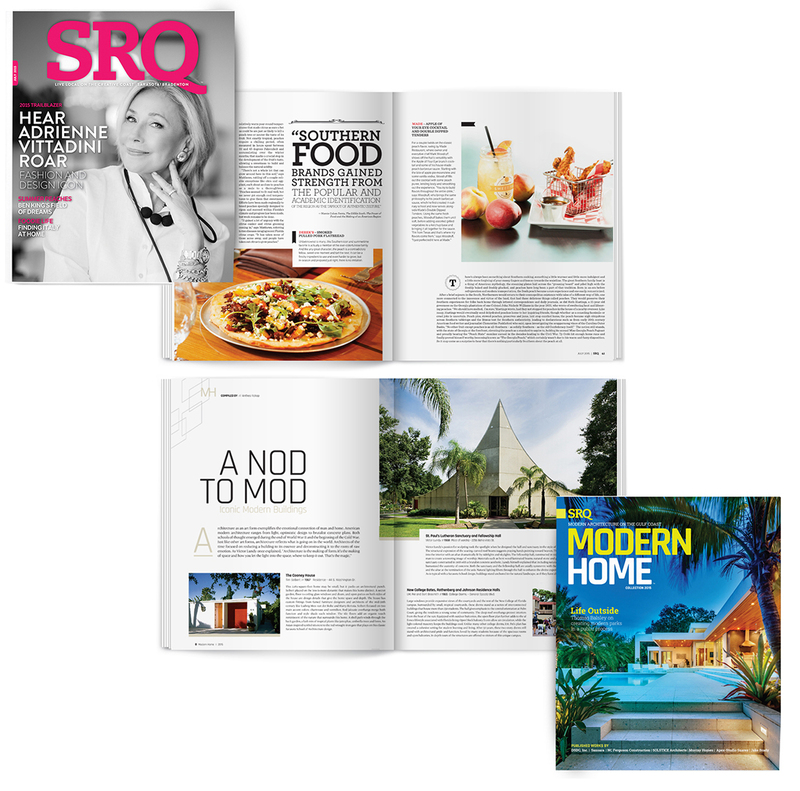 The July issue of SRQ | The Magazine and Modern Home Magazine hits newsstands on July 1st. Do you remember the last time you FLIPPED OUT? We do. Because we just did. The brand new issue of SRQ Magazine and Modern Home Magazine is here and this one is going down in the SRQ History Books. We can’t contain our excitement, so we decided to share with you the top five reasons that we can’t wait for you to see it! 1. Two words: FLIP BOOK. The July issue of SRQ Magazine has quite a trick. Flip it over to reveal the newest of SRQ Media’s portfolio of publications, Modern Home Magazine. That’s right! More to love. Enjoy your regular installment of all things local in SRQ and then flip over to Modern Home. 2. Did we mention Modern Home Magazine? You may have heard that the same good folks who deliver SRQ to your mailboxes and newsstands each month were developing a new magazine devoted to the modern vernacular of architecture and home design. This is it! Trust us, you don’t want to miss page upon page of breathtaking photography, enviable dwellings across the Gulf Coast and the unparalleled talent of architects right here in our backyard. If you love houses and design, if you’re looking for an architect or builder or if you just love thumbing through breathtaking home photography, you’re going to love it. 3. Gorgeous Cover Girl: Adrienne Vittadini graces (and we really mean it) the July cover! She is the epitome of beauty, style and success. We swooned when we met her at the SRQ Hear Me Roar Luncheon in April, and this glimpse into her storied career and home is every bit as warm and inviting as she is. One thing is for certain, she is humble and kind and sincere – despite her influence as one of the top style icons of the twenty-first century. And of course, we take pride in the fact that she’s a hometown girl. 4. ASLA Design Medal Winner Thomas Balsley: When we interviewed Thomas Balsley, we had no idea he was destined to win the 2015 ALA Design Medal. But we aren’t surprised in the least. His talent is astounding. His instincts on how people engage with parks and public spaces are uncanny. And his demeanor, perfection. Tom has seen and experienced more than we can fathom in his 30+ years of work as a Landscape Architect. He has worked with the likes of the Samsung’s R&D Campus in Seoul, South Korea, Martha Stewart and Donald Trump, and closer to home his firm was the mastermind behind the successful redevelopment of Curtis Hixon park in downtown Tampa. He dreams big, and always delivers. You won’t want the feature story on him in Modern Home to end. 5. It’s Peachy: Once again, staff writer Phil Lederer has hit it out of the park. This time, he’s written pure poetry on the summer’s most juicy fruit – the peach. And since this story was penned by Phil, we know that you’ll walk away having learned a thing or two, had more than a few laughs and a new appreciation for this slightly furry fruit. Of course, there’s more than five reasons why we can’t wait for you to see this special issue–but it’s hard to type and jump up and down at the same time. All of the departments you love to savor (like Out & About, At The Table and SRQ&A) are in the July issue so that you won’t miss a beat when it comes to the best ways to live local. We hope you cherish this issue as much as we do. We are so excited about the upcoming SB2: Behind the Lens on February 18th at 5 PM. This is going to be one for the history books. So right now, stop what you are doing and go to www.srqsb2.com and purchase your tickets. Once you’ve done that, continue reading. 1. Our panelists have the inside scoop on the local film scene. And that’s the point, right? Each SB2 we bring in the best and brightest to help understand key issues facing our region and also to enlighten us on the most current happenings that affect us. This month we’ll hear from Larry Thompson of Ringling College of Art and Design, Debbie Meihls of the Bradenton Area Convention and Visitors Bureau (and she’s also the Bradenton Area Film Commissioner), Joseph Restaino – the Artistic Director of Skyway Film Festival, Jeanne Corcoran of the Sarasota County Film Commission and Tony Stopperan, owner and operator of House of John Productions. The amount of talent, experience and vision in this group of panelists is incredible. We’ve been hearing lots of a buzz about Sarasota needing to have a soundstage. Ringling College of Art and Design is building one that will open in 2016. President Larry Thompson will have all the details about this 30,000 square-foot-building and its impact on film development in the region. Need we say more? The iconic estate is draped in beauty. It is intrenched in history. It is a local landmark. And, it’s the venue for February’s SB2. This is a gorgeous setting that you don’t want to miss. After the panel draws to a close, guests may take self guided tours to explore the property. If you need a little afternoon inspiration, take a look at the Powel Crosley’s site and imagine yourself there on February 18th. To find out more about the event, our incredible panelists and to purchase tickets, visit our website. Special thanks to our sponsors, Next-Mark and Bradenton Area Convention and Visitors Bureau for bringing this symposium to life. 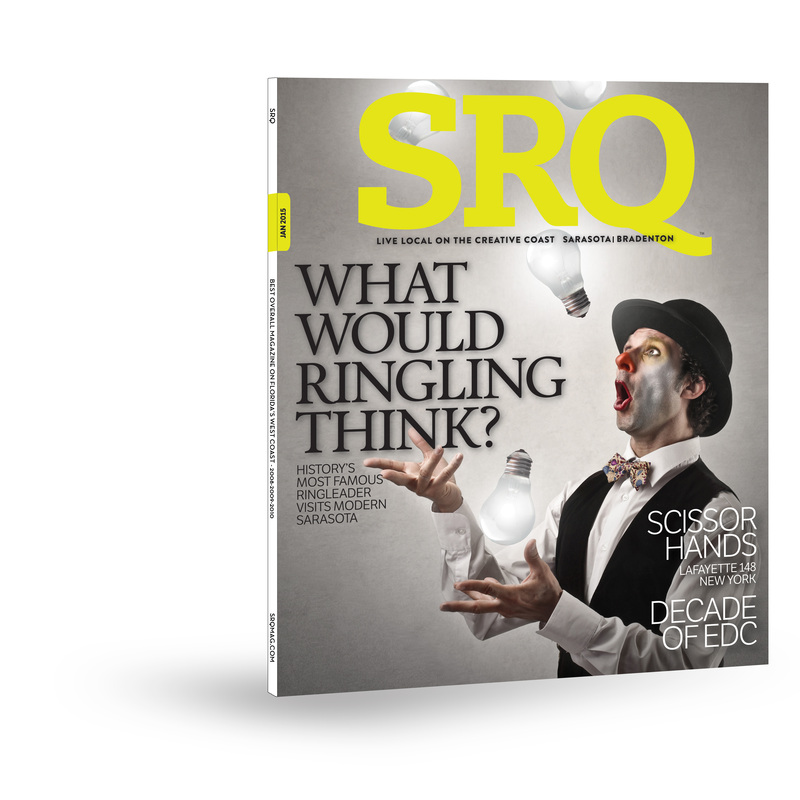 The January 2015 Edition of SRQ Magazine hits newsstands on New Years Day. Happy New Year! We’re not shy about sharing our resolution: celebrating the region by living local! And the January edition of SRQ is full of reasons to celebrate. We are taking a deep look into some of Sarasota’s most precious cultural gems; the circus, theater, locally designed art and artists, the decisive art of sports and the creativity of fine cuisine. SRQ is proud to provide you a peek into the creative process of fashion design with Edward Wilkerson, creative director of international fashion brand Lafayette 148 New York. Especially significant, this feature story embodies our partnership with Saks Fifth Avenue for the Women In Business program and Lafayette 148 New York’s support of our very own local business leaders through their Women We Love campaign. Join us for an inspired look at the legacy of John Ringling – our city’s undeniable patriarch. Masterfully imagined by Senior Editor Jacob Ogles, this feature has changed the lens with which we view our great city. We wish you a healthy, happy and fulfilling New Year. Join our resolution and purchase your copy of SRQ Magazine today and live local. SRQ ACCESS: HOT OFF THE PRESS! The 2015 Edition of SRQ ACCESS hits newsstands December 22, 2014. The promise of the New Year is always exciting. New plans, new resolutions a whole year ahead full of reasons to celebrate. 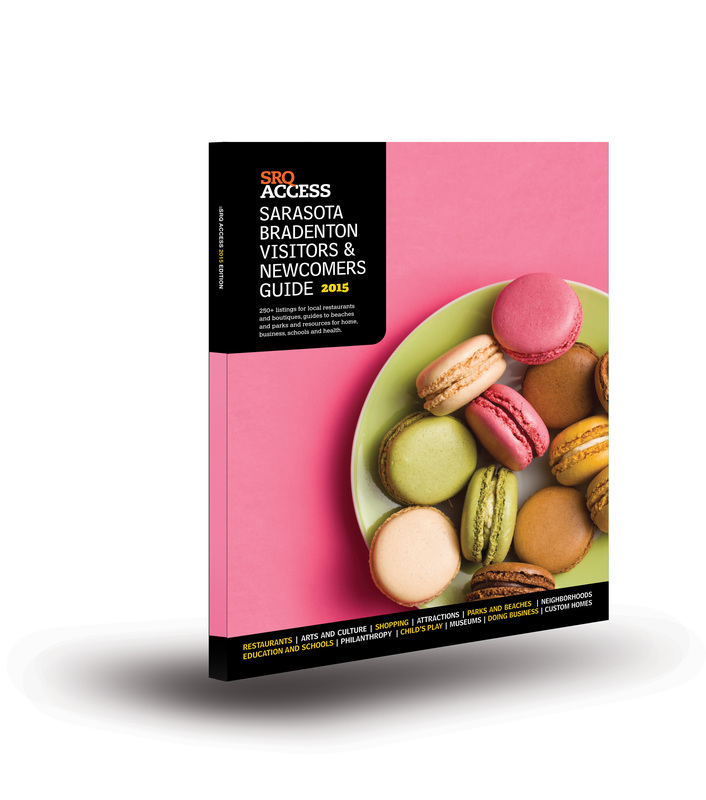 At SRQ, we are celebrating the 2015 edition of SRQ ACCESS! Within the freshly printed pages is everything you need to know about living local in Sarasota and Bradenton. From restaurants to arts and culture to shopping, attractions, beaches and neighborhoods to businesses—not to mention some fabulous reads from the SRQ editorial team—we couldn’t be happier to share the best of the region with our loyal readers. If you are new in town or looking for new things to do, see and taste, pick up your very own copy! It makes a great gift for welcome gift for visitors and can answer the never-ending question of “what should we do tonight?” You’ll find the answer inside. Did we mention the size of SRQ ACCESS? We can’t help but think of William Shakespeare, “And though she be but little, she is fierce.” Perfectly proportioned to fit in your beach bag, favorite tote, purse or ride alongside you as you take in the region, we know you won’t want to leave home without it! Ring in the New Year with your own copy of SRQ ACCESS: Sarasota Bradenton Visitors & Newcomers Guide 2015, on newsstands December 22, 2014! Philanthropy is a topic that is often discussed at our monthly SB2 Symposiums – and based upon participation, there’s a reason why! Monday’s sold out audience was treated to a panel discussion of the highest caliber. SB2: Business of Philanthropy shared the challenges of critical planning that face non-profits in our region with insights from two community foundations and experts representing donors through financial and estate planning. Mike McMullan of event sponsor Seaside Bank opened the discussion with a defining statement about charitable giving, “Philanthropy is about kindness, consideration and keeping an eye out for what will make a difference in the community.” Our previous SB2 events have focused on charitable giving and the organizations in our area that support worthy causes. 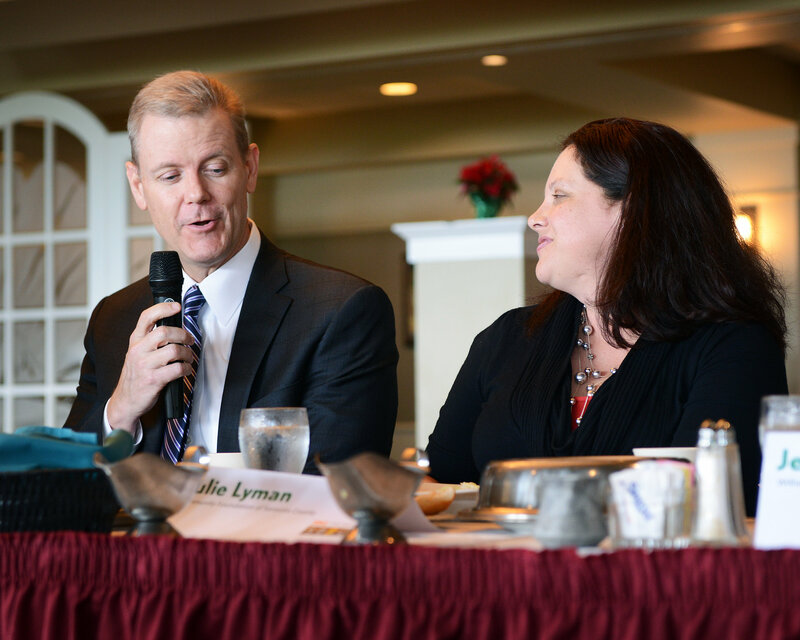 Monday’s SB2 explored giving from the philanthropist’s perspective and what non-profits will need to do to continue to retain and develop their donor base. The geographic location of the Sarasota and Bradenton area lends itself to part-time residents and individuals relocating to our community. With a potential donor base that resides and gives in another region, there is an untapped potential of donors that need to be reached with our organization’s messaging and missions. “People like to give their dollars where they spend their time,” says Jeff Troiano of Williams Parker Harrison Dietz & Getzen. 2. What are donors looking for? All of our panelists agreed on one element: transparency is king. “Donors used to write a check to give. Now donors are more of investors than donors. They want a sense of transparency and want to know where the funds are going once they donate,” says Julie Lyman of Community Foundation of Sarasota County. If Monday’s SB2 could be summed up in one quote, it would be from Veronica Brady, “When it comes to giving, follow what makes your heart sing.” We couldn’t agree with that statement more. The business of giving is not always clear or easy—but it is always important. Special thanks to our sponsors for their support in bringing this and other important topics to the forefront of our community: Event Sponsor Seaside Bank, Bradenton Series Sponsor IMG Academy and Sarasota Series Sponsor CS&L CPAs. 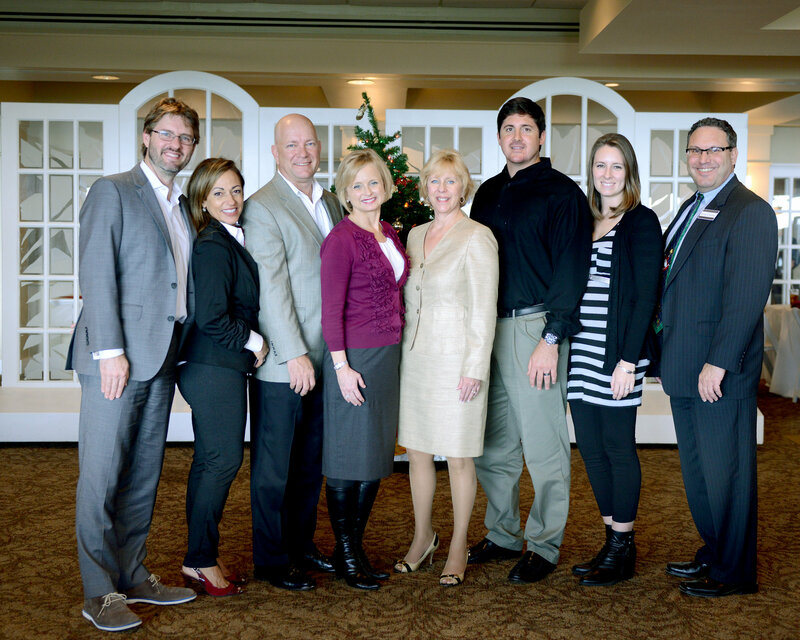 To view photos from the December SB2, click here. Don’t miss out on next month’s Sarasota symposium on January 22nd SB2: Boomers and Caregivers-The New Retirement, visit www.srqsb2.com to purchase your tickets today! SRQ Magazine hosted the November SB2: International Travel & Business monthly seminar on Thursday, November 20th at The Francis Hotel. This month’s turnout nodded to the heightened importance of the topic on our community. The morning kicked off with an impressive breakfast spread (including the often duplicated, never replicated bacon) and a presentation by Jeff Mayers, General Manager of The Resort at Longboat Key Club. Mayers set the tone for the panel discussion by turning the focus on the critical mission of maintaining a healthy tourism and economic climate for businesses within our region. Panelists of the November 20 SB2 Symposium. 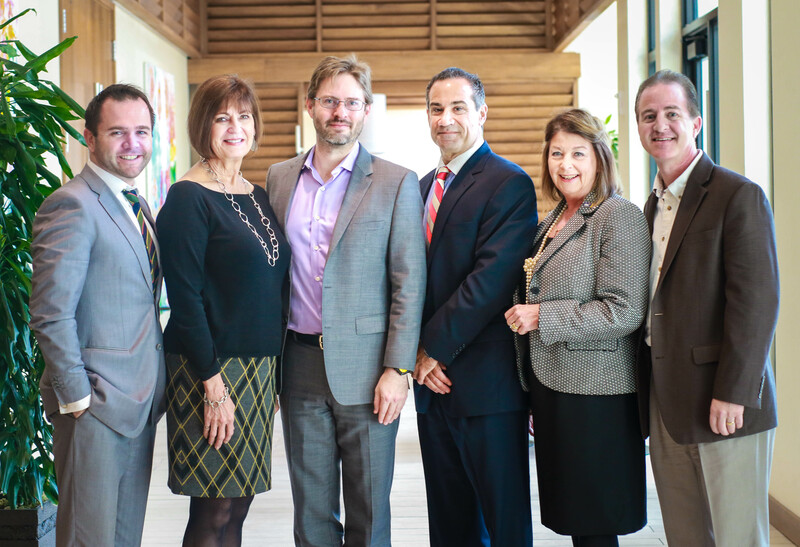 From Left to Right: Max Stewart, Joan McGill, SRQ Executive Publisher Wes Roberts, Jeff Mayers, Virginia Haley, Elliott Falcione. Photo Credit: Shane Donglasan. Participants in the panel discussion provided their insights on the best way to keep the Sarasota and Bradenton area on the map when it comes to international tourists and recruiting international businesses to the area. Joan McGill of the Economic Development Corporation of Sarasota County noted that one of the biggest driving factors for companies to relocate or open operations in Sarasota is that, “the CEOs have a connection to Sarasota and want to live here.” With a friendly tax climate to businesses as the second motivator, the real value of the area is that people who have visited Sarasota have a strong desire to relocate here. Max Stewart of Enterprise Florida in Tampa joined the panel emphasized the geographic location of Sarasota and Bradenton as a motivator to international business. With close proximity to Central America, maintaining relationships with businesses looking to expand globally is critical to the future business climate to the region. While attracting new businesses to the area, maintaining a healthy tourism industry is equally important. Knowing the habits of international travelers plays a role in how Visit Sarasota County allocates their efforts to attract tourists. Virginia Haley of Visit Sarasota County made a compelling case for targeting international travelers, “international visitors to Sarasota spend twice as much and stay two times longer than domestic tourists.” She also noted that the drive market to the area during the summer months is made up of domestic tourists with one goal in mind: beach time. International tourists that visit the area during other seasons have a heavier focus on the cultural institutions and the arts. SRQ Magazine Executive Publisher Wes Roberts moderates the panel discussion. Photo Credit: Shane Donglasan. Attracting tourists and having them among us are two different things. Jeff Mayers of The Resort at Longboat Key Club reminded those in attendance that tourism doesn’t stop with brining people to hotels, but accommodating them throughout their stay. “Our infrastructure needs to be able to sustain the influx of people to the area.” Ensuring that our roads are adequate and that there are enough accommodations is just as important as branding the area as a prime destination for travelers. Once we get tourists here (and especially during peak season), the transition to an increase of traffic and people can be frustrating. However, Elliott Falcione of the Bradenton Area Convention and Visitors Bureau reminded us that the dollars spent by tourists while visiting improves the quality of life for residents of the area. All in all, we learned a great deal. And on top of that, we are grateful for our panelists that work hard to put our region on the map in the tourism and international business sector. In doing so, they fight for jobs in our region and ensure that when expansion does happen, it is done property to maintain the elements that make our community unique and inviting. Thank you to our sponsors who made this great event happen: CS&L CPAs, IMG Academy, and event sponsor The Resort at Longboat Key Club. 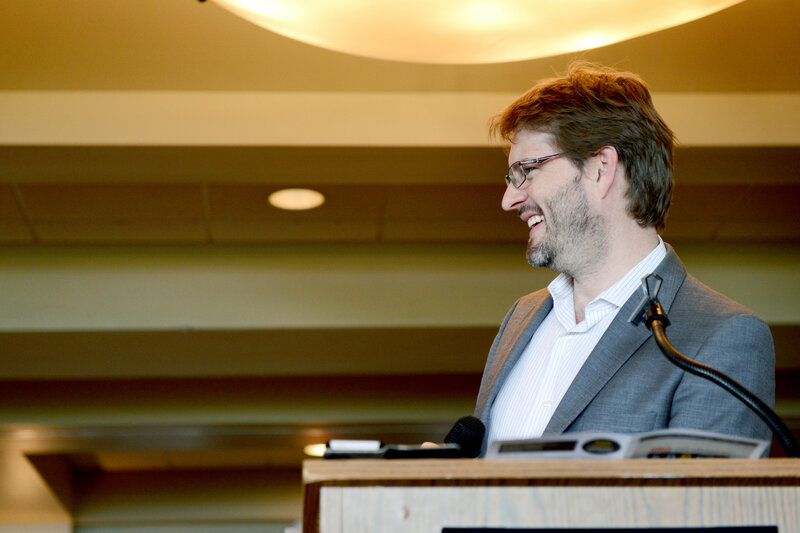 Photos from the event are posted online and can be viewed here. A transcript from SB2 will be posted soon on SRQMagazine.com under Dig Data. The December SB2 is closer than you think! 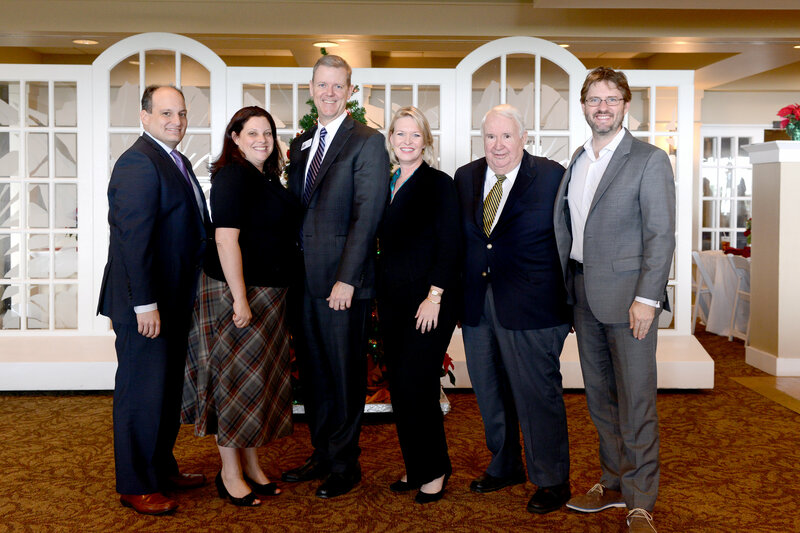 We will be meeting for lunch at the IMG Academy Golf Club to discuss “The Business of Philanthropy” on December 8, 2014 at 11:30 am. Don’t miss your chance to hear from the best and brightest our region has to offer when it comes to philanthropic insights. Purchase your tickets today at www.srqsb2.com. See you soon!